Preparing the boat can always be a little stressful. Time is short and there is a long list of things that have to be done. Three years ago, we had to build a mast a prepare rigging for Bente Dorte. Last year, Chris helped rewire some of the electronics on the boat, a good job for a NASA engineer. This year, when we showed up, it was the first time the boat was not in the water yet, still in the boat yard after being painted and prepped by Denis from Vela Luka. The crew all arrived at the around the same time, which is pretty amazing considering we were coming from the U.S., London, and several parts of Croatia. We converged at ACI marina and in true Dalmatian style went straight to the café for a drink. One thing that has been splendid is the possibility to have such great friends help on the trip. Orsat had just returned from seven days backpacking in the mountains was coming for his third year in a row. 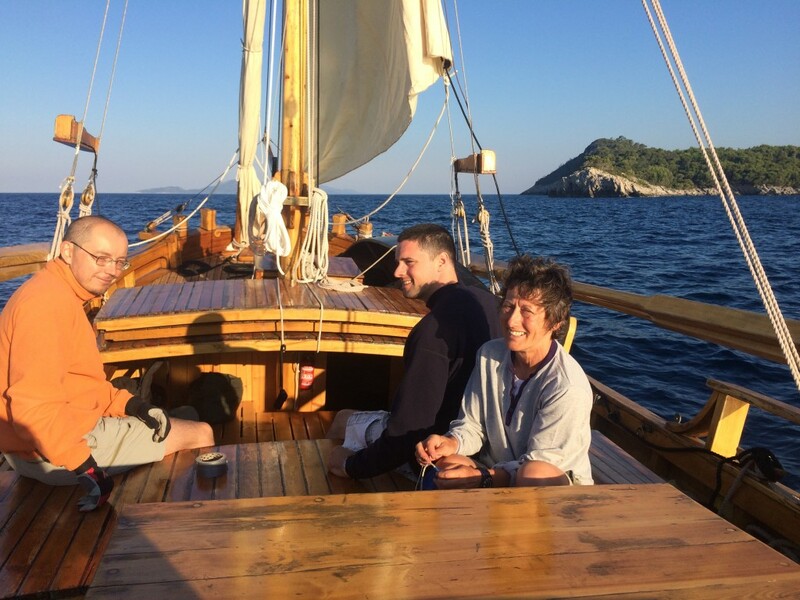 Linda from Vela Luka was probably the most excited for the trip, and Vedran, who I had sailed with on Falkuša was going to be the mate. As soon as the boat went in, we went to work. Lanteena, sails, anchor, systems check, and two days later we were ready to go. We had to leave early in the morning to get up to Split to meat the kids. It is about 110 miles and we hoped to do 80 on the first day. As soon as light broke on the morning of the June fourth, we were up. Still groggy from waking, I squinted up at a looming figure on the dock. 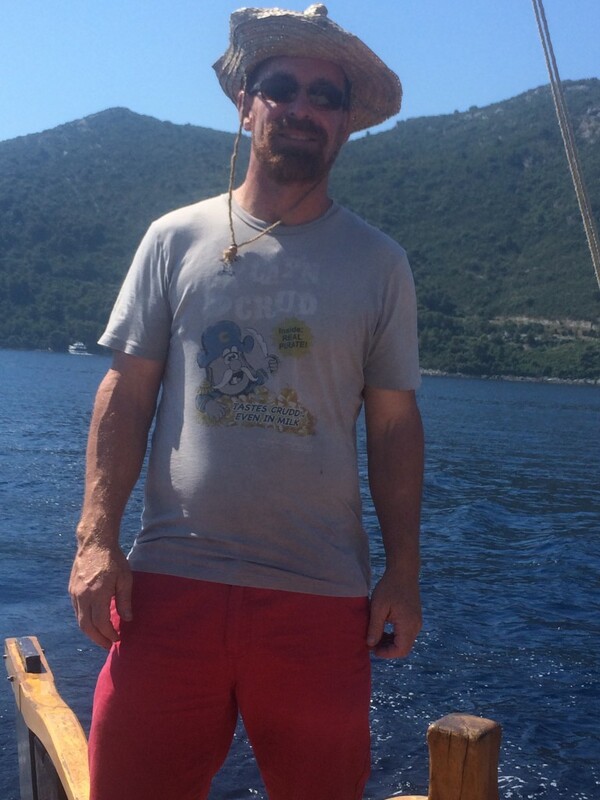 There was Goran, the owner of the boat. I am not used to greeting someone at 4 am and I think I mumbled something vaguely resembling good morning. He cheerfully replied, “I thought I would come down to see you off.” A light NE wind, Bura was blowing down from the mountain and after a quick coffee, Goran cast us off and we were on our way. We were not the only ones up this early. 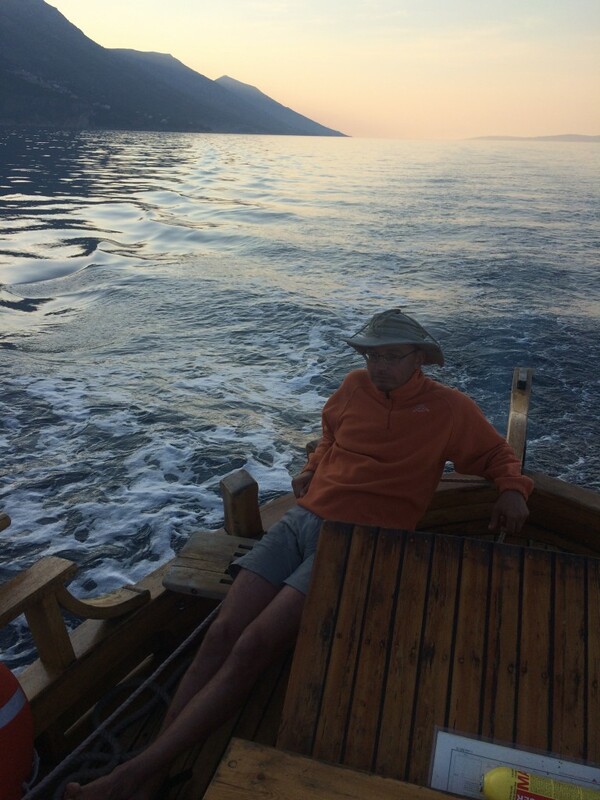 Our friend Jadran, who’s name means Adriatic, like the sea, was preparing a barge to carry supplies to the island. With our jib set we fell in line with him and sailed in tandem with the barge all the way to the Elafiti Islands. 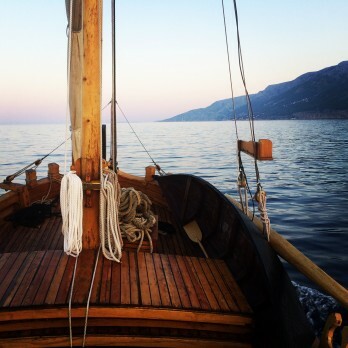 When we left Jadran, we also left the breeze, as we made our way out into the Adriatic, the wind dropped and the steady hum of the diesel engine kept us company all the way to the island of Ščedro. Later that day, with nice NE wind, Maestral, we set the main sail for some practice sailing. This type of vessel can be difficult to sail with just a few people. Since we didn’t have our young crewmembers from the home, we had our hands full with the big main sail. Once it was up, and the motor was off ,there was a certain silence that only a sailor knows. 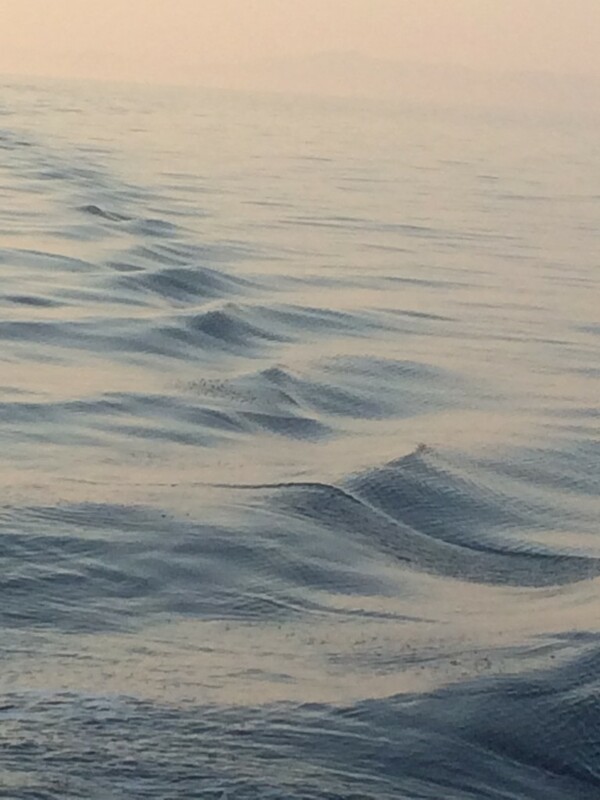 The full sail pulled us to our destination and we arrived content and ready of dinner after 16 hours on the sea.